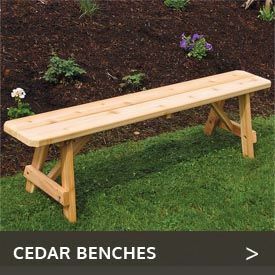 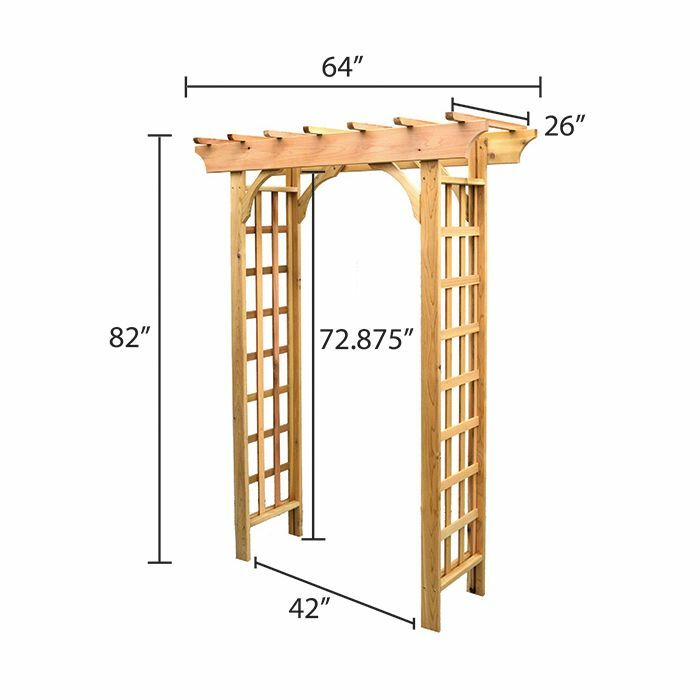 Grow grapes, roses or any other vines you like on the Arboria Vine Leaf Western Red Cedar Wood Arbor from Cedarwood Furniture. 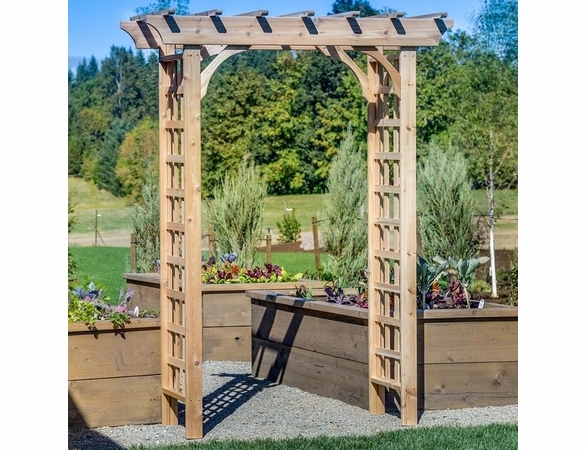 Standing 82” tall and measuring 64” wide, this beautiful arbor is made of superior-grade Western red cedar that naturally repels insects and bad weather. 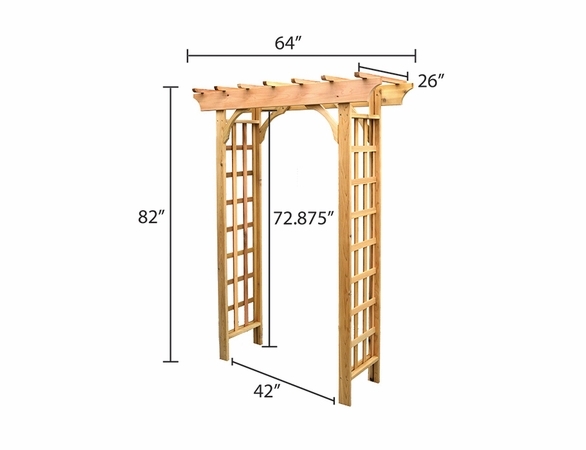 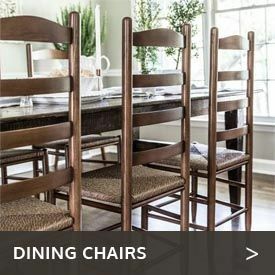 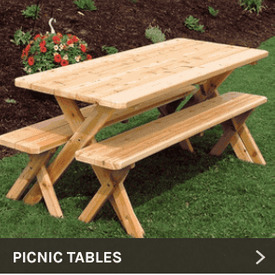 You will love its careful design and American craftsmanship.